Air2Hire offers a wide range of services around air conditioning. 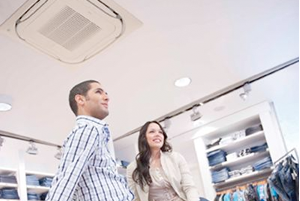 With 16 years experience, we are one of the leading suppliers and installers of air conditioning products across the surrounding counties, we have great experience in providing flexible professional solutions to all types of air conditioning. If there is any particular service you would like to learn more about, or are unable to find the service you require, please do not hesitate to contact us. We make every effort to provide you with an unbeatable service. We are very proud of our work and our services. To prove our commitment to providing you with unbeatable service, we shall make every effort to beat any quotation. If you provide evidence of your quotation, we will do our very best to beat it! Please contact us today and find out how we can help you find the appropriate air conditioning installation for your needs.